After the last incident, Krish would vanish into thin air (actually below his couch which was his secret hide-out until the previous week when he revealed himself in a hurry after spotting a lizard which had reserved its berth) whenever he had a little clue that his mom would make him stay home for a visiting relative. “Why would they have to come at night, Mom, (and exactly at 6:45, mumbling to himself) as if they do not have any soaps to watch at night ? “, Krish grumbled dusting himself up from underneath the couch when his mom was complaining about Krish’s absence to his sister. “And, you could have cleaned the rest of the couch while you were hiding in there”, replied his sister watching Krish struggle with the cobweb crowning his head. “Krish, i was talking about Prema’s relatives who will bunk in for a few minutes until she returns from her cooking class”, his mom added. “Thank God !. Speaking of which, i am off to the temple”, Krish sighed and walked out with a huge grin. “Ma, i think he is chasing some girl !”, her sister whispered making sure he has left the room. “Come on Preetha. Krish is a sweet boy and if there is any such thing, i am sure that he is one being chased”, retorted her Mom before bursting into laughter. No need to mention her sister, who continued laughing for a few more minutes. “This is it. Krish, you have to stop finding excuses and talk to her like this is the last day before your turn your homework in. It doesn’t matter if you have prepared the material or not, turn it in to have a chance of scoring.” He could not imagine the analogy of the second sentence he just said. “Okay”, he took a deep breath, “yes, i have to do it”, he muttered under his breath and entered his room taking a seat by the clock. Krish was inside temple, hands folded, sincerely praying for the test of his life which was only a few minutes away. He was now a master of his girl’s route in and around the worship place. He could guess where she would turn and where she would skip a step with amazing precision. After calculating the time for her to get out, he waited outside the porch after he saw her entering the temple. This was the first time he met her in the eye and they exchanged super fast looks. It was like Michael Schumacher meeting eye-on-eye with a random onlooker, while racing. This glance of her’s inundated his already overflowing adrenalin. For the first time he observed time flying, waiting for her. She stepped outside, three and a half minutes early. “This margin of error is unusual. What have i done ?”, he thought. Krish was sweating like a dog playing under the Chennai heat. Before he could open his mouth or he could wipe his sweat dripping from his forehead she spoke in a mild voice, “Can i speak with you for a moment ?”,while she was stepping down the flight of a 4-step stair case in to the exit. It was so quick and hardly without any lip movement, like the phrase “mutual funds are subject to market risks” at the end of a TV commercial. “For a moment ?, i am willing to listen to you for the rest of my life”, echoed Krish’s mind voice. “Thanks”, he replied. The next moment he hit his head with his right palm and pretended to wipe his sweat off. “Out of all the words, you chose ‘Thanks’. Such an idiot. What will she think of me ?” thought Krish. “uh hum(clearing his throat) Sure”, he corrected and after a few seconds pause he continued, “humm, i am Krish”. “What happened to hi, you idiot”, his mind criticized him again. “Hi, i am Anunya. I know you have been following me for some time. It sounds crazy, but..”, she stopped and waited for a girl to pass by. “I am doomed. God, please let there be no elder brother waiting to kick my arse. I have just started taekwondo and i can barely lift my leg waist high”, was his first thought. Strangely, his wavering mind rejected the possibility of her telling him to stop following her because she had a boy friend. “I think i like you. Can we meet sometime and talk ?”, she completed. Krish could not believe what he just heard. For a moment time froze and the only thing he could see was his girl standing before him. He wanted to run wildly like Shoaib Akthar after claiming Sachin’s wicket. It took a while for the message to sink in to him and his feet to feel the earth. “uh, hmm, of course, why not?”, came his stuttering reply. “Thanks Krish, say Thanks”, reverberated his mind. He wanted to talk right now and pour his feelings for her. But, bearing the fact that it was already quarter past eight and he hardly manages to get up around 02:00 PM for lunch on Saturdays he said, “Saturday afternoon, 2:30 ?…err sorry 3:30. i… ?” . He wanted to tell her that he had never been early to break fast on a Saturday, but swallowed his words thinking she might not like him. “Okay, where can we meet ?”, she retorted and checked for onlookers. Everything, but a good place to meet ran through his mind. “What would be a good location ?”, he asked himself. He started looking up the starts tapping his foot and scratching his ears hoping something would pop-up. But, these gestures never helped Krish, nor anyone. He looked at her sheepishly now and then hoping that she would fill in. “Okay, please don’t mistake me, but, i have to go now. Here is my number”, she said taking out her mobile phone and checking the time. “Text me the location. See you on Saturday”, she said and left the place swiftly after flashing him a good bye smile. Krish was still dumbstruck with what just happened and was reliving the moment, until she came back and said cooly, “Krish, would you like some tea with biscuits ?”. “What…., wait Anun..?”, before he could take another look at her pretty face he was blinded by a flash of light. In the wink of an eye everything around him changed and seemed familiar, it was as if he was pulled out from the silvery white gaseous liquid of pensieve (from Harry Potter). He looked bewildered. The next thing he saw was his Mom in front of him with a plate of biscuits and a cup of tea. It was like an episode from Harry Potter, except that he was no Harry Potter and there was no Dumbledore around to seek wisdom. His mom repeated, “Krish, get up it is only quarter past seven. Bunking your temple visit, huh ?”. “No way” retorted Krish rushing out of his room hurriedly with a mixed feeling of happiness and longing. “Have some of these before you leave”, was only an indistinct voice to Krish who was already out on the streets. A sweet stint – Welcome guests ! Krish was always on time to the temple like a new employee trying to please his manager. This was his first time to stick to a schedule for more than four weeks in a row since he left school. Honestly, the real credit should go to his mom for pushing him to school during his early days. His mom would have to play a very agitating game of hide and seek, not with Krish, but with his pair of shoes. He would have thrown both in the attic. That sounds simple, does it ?. No, it doesn’t look as simple as it sounds. Krish was clever to throw one of the pair in his neighbor’s attic, changing the neighbor every time. It was time for Krish’s turn to experience the same frustration his mom had experienced in persuading him to reveal where he has hidden his shoes, when he was stopped by his mom to defer his visit to the temple that day owing to meet his dad’s relatives who were expected that evening at seven. “Mom, but i can’t miss the schedule”. “Krish, you missed to pay your mobile bill for the fifth time in a row ?”, his mom retorted sarcastically, adding “Moreover, your dad would not be pleased if you skip to meet them. He wanted me to make sure you stay”. “Mom, you don’t get it, I would miss to see…’, words slipped from his mouth in trying to persuade his mom. “See who, Krish ?”. Krish paused for a moment and managed saying, “I meant, seek His blessings, seek His blessings…”, running to face his mom in the kitchen so that she heard his corrected version clearly. His mom was busy preparing snack items for their guests that she didn’t take his strange activity and slippery words seriously. “Are you planning to redo the flooring to our hall ?”, questioned his sister who returned from work. “No, why would i?”, Krish retorted angrily. “Then why are you walking the length and breadth of the hall ?”, his sister replied with a smirk. “Very funny, Preetha”, came Krish’s angry reply. “Mom, why is Krish in a bad mood ?”, whispered Preetha making her way into the Kitchen. “You know, Dad’s nephew Raghavan has moved into town and he is paying his long due visit today. Krish wants to ‘Seek Blessings’ by skipping to meet them”, replied Krish’s mom loud enough for Krish to hear. “Mom, what’s wrong with that ?”, Krish joined his mom and sister in the kitchen and tried to reply softly still grinding his teeth and trying to control his anger thinking that this might ruin his chances of getting out of the house, if there was any. “Krish, Athiti Devo Bava (meaning: Guests are Gods in human form). So you can seek their blessing”, Preetha replied, this time with huge grin. His mercurial blood surged to exceed the all time highest temperature of Chennai, his hometown. Kirsh’s patience limit is like a wet clay when he is being ridiculed or being sworn, you can punch, crunch and roll it over a bulldozer, it won’t break. But it is like the same clay made into a pot, which breaks on a single fall in certain issues. And denying a visit to see his girl tops the list. Krish glared form his mom to his sister. His face turned scarlet and ears even more. “This is is the right opportunity Kirsh, leave now, leave now” echoed his mind voice . As the mind voice died, his outside voice echoed the kitchen,”I have had enough, i am leaving now and i will handle dad”, and he started waking out the kitchen towards the door, only to stop at the door where his dad was unlacing his shoes. “Where are you off to, Krish ?. “I heard you say about handling something. What was it about ?”. Krish struggled for words. He didn’t want to upset his dad. Actually, he was not used to confronting his dad angrily. “Yes dad, i was telling mom that i will be here to handle our relatives”. “Handle ?”, his dad replied, confused. ” I meant, to treat them in a good way”, Krish replied clearing his throat trying to suppress his anger. “Great, all this happens on a day when i plan to talk to her”, Krish headed back to his room mumbling. Though, he had no plans to talk to her until then, he was frustrated by the fact that he was denied of an opportunity to see her. In 2010, there were 3 new posts, growing the total archive of this blog to 10 posts. The busiest day of the year was June 6th with 50 views. The most popular post that day was Two to three !. The top referring sites in 2010 were facebook.com, lmodules.com, sanjeevvr.wordpress.com, linkedin.com, and logiconline.wordpress.com. 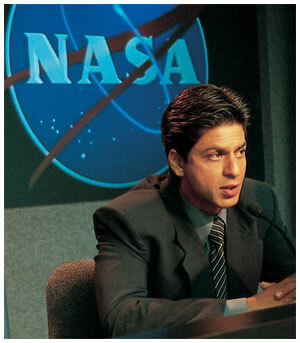 Some visitors came searching, mostly for swades, shahrukh khan in swades, jeeka, swades movie, and srikanth kannan. A sweet stint – Quarter to seven ! Krish was convinced that he would catch “his girl” the next day around quarter to seven in the evening, as it was around that time he saw, rather gawked at her for the first time. While he was impatiently waiting for her in the porch of the same temple, thoughts showered like November hail in Chennai, too many in too little time. “She must be an iyer for sure”, ” how will i convince her parents ?”, “forget that, how will i convince my parents, which is next to impossible”, “how will i make her elope with me in the worst case”, “what is the probability of her accepting me ?”, “As if you knew how to compute the probability”. Before the next irrelevant thought could foray into his reckless brain, he heard the voice, “Son, please decide to enter or leave the temple as your are blocking the way”. “Aah, sorry sir, i was lost in thought”. “Time vs complexity of thoughts must be directly proportional”, Krish said to himself. It was more than twenty minutes and there was no sign of her. Every other person who came in was at least twice her age. Krish behaved like a kid of the kinder-garden who would have a peek every other minute at the door awaiting his mom, after the final bell. “Twenty five minutes and 55 seconds since i came here and there is no sign of her”. A more sensible but sad thought pricked him, “What if she originally belongs to another city and yesterday was her last day in this place”. ” Please God, let this not be true, please” was something he wished from the bottom of his heart as he walked out into the street. “Good things does not last long”. No, this was not Krish’s mind voice. These were the words of a stout middle-aged woman to bunch of women of her same age as they were taking a leisurely evening stroll past him. “Thanks for the words of wisdom” Krish enunciated aloud sarcastically which made the stout woman giggle in elation much to the displeasure of Krish. He increased his pace to avoid overhearing another bunch of even older women. In doing so he tripped failing to notice the platform for walking and was about to hit the ground face down, but managed to land on his palms. “I have met her” was one of thoughts which ran into Krish’s wavering mind when he saw this unknown yet gorgeous girl in the veranda of a temple not far from where he lived. Do not think Krish to be another knuckle head who chases good looking girls. He is a fun-loving, witty, caring guy whom you can relate to any of your friends. He would have added smart to that list. But, Sometimes he would think high of himself and sometimes he would maintain a low profile. In short, Krish was an Engineering student. He could not take his eyes of her, as a child that would fantasize a new toy. This was not a frequent moment for Krish. In fact, this was his special first one. Though this was a cliche movie scene, for which he would curse the director. He never though that he would re-enact the same without cameras and would enjoy it. “So, this stuff really happens”, Krish said to himself and realized that he was lucky enough not to be noticed by anyone as he was the only one staring in a different direction than the others who were praying. The next few minutes he tried hard not to look in her direction, but could not resist. “Lord, please forgive me for not being myself today. I can’t help seeing her. It is your fault bringing her to my notice” was his unusual prayer before he left. “She would not have noticed. Krish, you have a good knack of looking. Keep it up” he convinced himself on his walk back home. But, she was better at pretending that she was not noticing her onlooker. It would have been a sleepless night with a duet for the male lead in some movies. But, Krish was different. He was planning to watch a thriller movie the same night. All said, he would regurgitate and replay his fresh memories of his gawking at this girl oftentimes for two reasons. One, he wanted to relive the moment, and the other was that the thriller movie had more neck-hair raising clips than he had expected. thought of nothing, than to be home soon. leaving all behind, including my heart. for not all to write. So, here i am doing Masters. This is a true incident from my school days…. It was one of those Chemistry classes of 12th grade.The class was hypnotized by swirling equations of organic and inorganic Chemistry that my friends would doze off with just another word from our Chemistry teacher. Shinto, my school friend was no exception to the rest of my classmates. He found his place in a wooden desk which was a few desks from the very last . He was popular among us for his unique way of answering questions for which he had the least of knowledge. Most of my friends were in a posture which meant would-you-please-stop-to-teach-some-in-the-next-class. They had their heads rested in their forearm and their drowsy eyes occasionally following the footsteps of our teacher. Our teacher had the habit of walking between the aisles to keep us focused. In one such class we tested his patience. He just drew some equations on the board and started explaining them in his usual slow and sleep-inducing tone. Sure was a lullaby to many of my friends. I was luck enough to awake to tell this tale. The equation on the board involved the evolution of Hydrogen gas. Our teacher, just like any other would question the ones whom he knew weren’t paying attention and question them. For a moment he would be pleased to see his pupil open their mouth, but that feeling wouldn’t last longer as oftentimes it would be for yawning. It was Shinto’s turn this time. “Shinto…” he pointed at my friend, which alarmed others from their limbo. Shinto stood up. One of the most appreciable traits of Shinto is that he gives you a good greeting smile even if you are gonna to slap him (of course he doesn’t smile after being hit). Most of us gave silent giggles, when he stood up lethargically, when his name was called. We were expecting some answer from him.” Er yes Sir…” he said in his usual shaky voice after a pause. “Enna Shinto…thookamaa?” he said smirking. Shinto can hardly control his laughter when he is being questioned and instantly covers his clipped teeth with his left hand, pretending to be serious. “Sir … er… Sir” said his shaky voice with a controlled smile. These words were always expected of him when confronted by any teacher. He looked at the board read out one of the chemical equation aloud before questioning him. In the mean time he turned back and gave silent laugh at almost everyone he could see before he completed reading the equation which had Hydrogen gas with an arrow pointed upwards, indicating it was being liberated in the equation. (Usually hydrogen was represented with H2, which is familiar with everyone of you). He turned back at him, this time with a serious look and asked him in a cold voice “Shinto where is hydrogen “. (He apparently meant the Hydrogen gas with an upward pointed arrow on the right side of the chemical equation which he had just finished reading). This was a pretty easy question, at least to those who are familiar with the symbols of chemical substances. His fingers ran over his chin giving an impression that he was thinking hard. After a minute of waiting our teacher advanced from the last row toward him, probably expecting an answer. A shaky dull voice was heard, it was Shinto coming up with an answer. ”Sir… Hydrogen is in the periodic table Sir”. The class erupted with laughter the moment he completed his answer. He was expected to say that hydrogen was on the right side of the equation (The periodic table is an arrangement of the chemical elements ordered by atomic number in columns and rows presented so as to emphasize their periodic properties). Hydrogen in periodic table was an obvious fact to everyone who studied chemistry. We knew he would come up with some reply, but never expected this.